European Council president Donald Tusk has proposed a series of 13 top-level meetings to take forward European reform in the wake of Brexit. 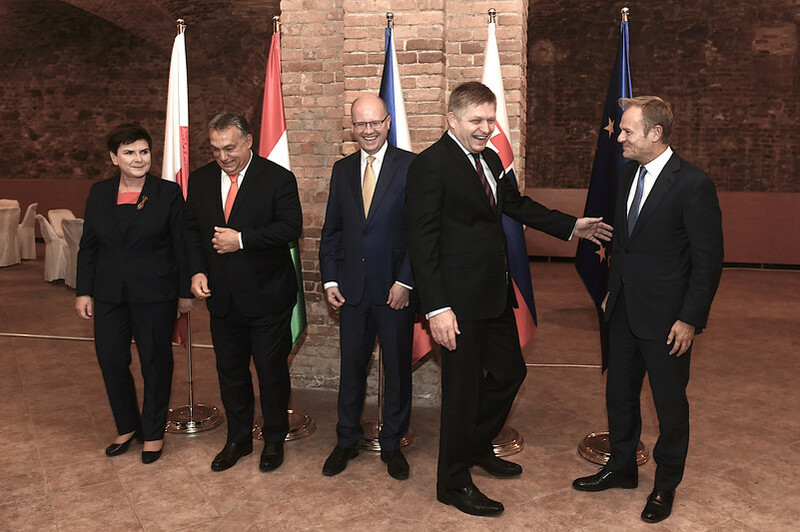 Most of the talks, called the Leader's Agenda, are to take place in the margins of regular EU summits, starting on Thursday (19 October), and to last until mid-2019. 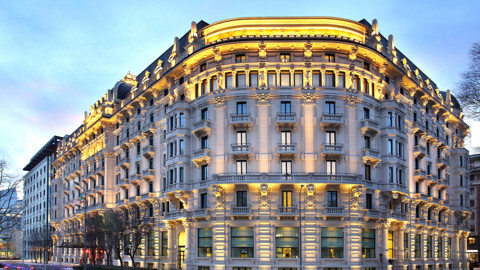 A handful of them will also take place at special events, such as a summit on the Western Balkans in Sofia in May, one on internal security in Austria next September, and one to take stock of discussions so far in Sibiu, Romania, in May 2019. 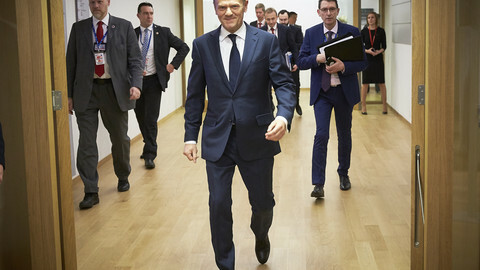 Tusk laid out his plan in an invitation letter for Thursday's EU summit. He said each of the sessions would be based on "decision notes" circulated by his office that laid out "our differences, precisely describing the scope of conflict". 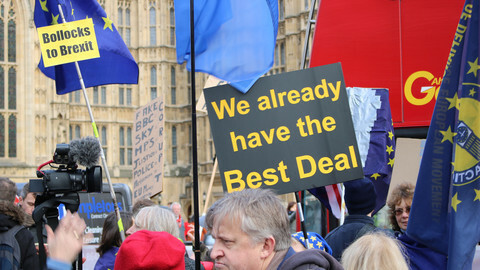 They would also be based on "implementation reports" that detailed what had been achieved so far, with Tusk already publishing one such report on Tuesday which looked back at progress on issues raised at a Brexit summit in Bratislava last year. His Bratislava paper noted there were "efforts still needed" or "insufficient progress" on showing "solidarity" on asylum seekers and on reforms of EU asylum laws. That nodded to a rebellion against EU migrant-sharing quotas by the Czech Republic, Hungary, Slovakia, and Poland. The eastern EU bloc is also opposed to deeper EU integration, for instance in the eurozone, but Tusk's letter noted, in line with French ideas on a multi-speed Europe, that coalitions of willing member states should be able to press on anyway. "The aim [of the Leaders' Agenda] will be to break any deadlock. 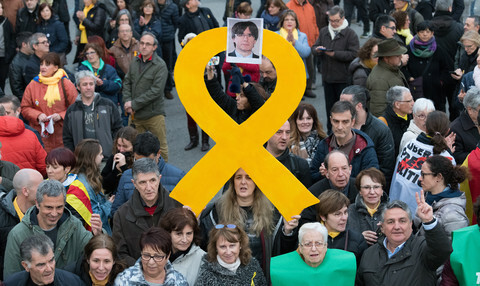 If the first discussion does not succeed, we will need to decide whether to make another attempt at solving the issue, or if the only way forward is enhanced cooperation among the willing countries, as provided for by the treaties," he said. 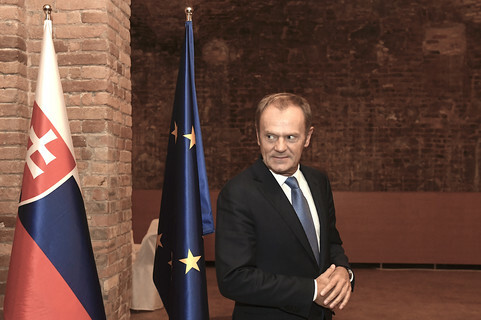 Tusk spoke of a "new energy" in the EU that was generated by the UK's decision to leave. But he said this must be harnessed in a way that "does not divide, but strengthens us". He added that his recent "consultations" with national leaders had "reassured [him] that we are capable of accelerating our work, without disrupting our unity". The European Commission head, Jean-Claude Juncker, is also doing his bit for unity. Juncker is to host a pre-summit dinner with the Czech, Hungarian, Polish, and Slovak leaders in Brussels on Wednesday that could end in a joint communique. His initiative comes amid concern that the incoming Austrian government of Sebastian Kurz could ally itself with the anti-immigration hardliners in eastern Europe. Kurz is currently in coalition talks with both the centre-left SPO party and the far-right and anti-EU FPO party, whose leader, Heinz-Christian Strache, used to do combat training with neo-Nazi paramilitary groups in Austrian forests when he was a young man. 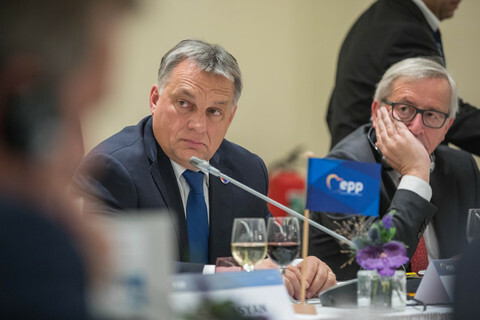 The concern on EU unity also comes amid a drift toward authoritarian rule in Hungary and Poland. Experts from the Council of Europe in Strasbourg warned on Tuesday that Polish president Andrzej Duda's amendments to new Polish laws on judicial reform would do little to stop them from handing control of courts and judges to the ruling PiS party. Duda himself met with Turkish autocrat Recep Tayyip Erdogan in Warsaw the same day. He said Poland supported Turkey's EU bid, but said nothing in public on Erdogan's human rights abuses. Polish media were not allowed to ask questions at the Duda-Erdogan briefing, but Erdogan's security detail was allowed to confiscate protesters' placards outside his hotel while Polish police stood by. Poland also continued to swerve from EU norms in Luxembourg on Tuesday when Polish environment minister Jan Szyszko challenged an EU court injunction to stop logging in a primeval forest. He alleged the Commission had used fake data, which, he speculated, might have come from a cyberattack, in its anti-logging case, and claimed that EU intervention had helped a 3,500-hectare large swamp to gobble up rare plants in the conservation area. 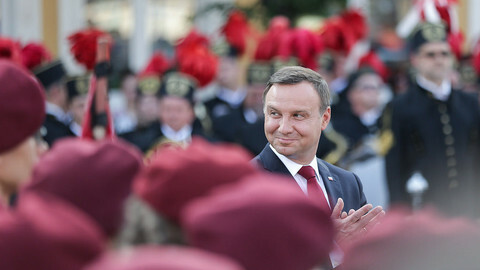 While Polish president Andrzej Duda proposes amendments to further increase political control over the judiciary, EU ministers voice support for the rule of law, but make no mention of the Article 7 sanctions. Negotiations were stalled for weeks, as Warsaw tried to capture funds earmarked for the civil sector. EU capitals voice support for more summits, tackling divisive issues and sometimes deciding by majority - not consensus - as outlined in the European Council president's plan.